In 1776 Adam Smith (1723-90) wrote The Wealth of Nations , a book so foundational it has led to him being called the 'father of economics'. Today he is associated with the promotion of self-interest, a defence of greed and a criticism of any governmental 'interference' in market transactions which, if left to the 'invisible hand', will produce prosperity and liberty. Yet if Smith is actually read these associations are more a caricature than a faithful portrait. In this Very Short Introduction, Christopher Berry offers a balanced and nuanced view of this seminal thinker, embedding his fierce defence of free trade, competition, and assault on special interests in contemporary European history, politics, and philosophy. As Berry explores, Smith was far more than an economist. His book The Theory of Moral Sentiment, offered a complex account of ethics in the context of human social behaviour. His scope as a professor at the University of Glasgow, a major centre of the Scottish Enlightenment, was extensive. Beyond courses in philosophy and jurisprudence he also gave classes covering history, literature, and language. In addition to his two major works he also wrote a pioneering study of the history of astronomy as an illustration of the motivations that drive humans to seek answers to questions. He produced, again derived from his Glasgow classroom, an analysis of the development of grammar and language. 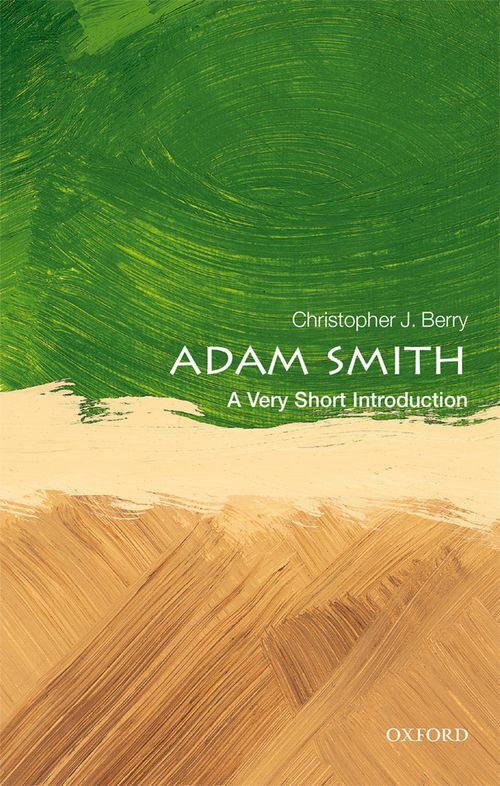 As Christopher Berry shows, Adam Smith was no narrow thinker, but rather one who produced not only one of the greatest books in the history of social science, but also a wide-ranging body of work that remains significant today. Chris Berry is Professor Emeritus at Glasgow University. In addition to his reputation as a leading scholar of Smith, Hume, and the Scottish Enlightenment, his books include The Idea of Luxury (Cambridge University Press, 1994_. He has given invited keynote lectures on his work in China, Japan, Chile, USA, and across Europe. He is an elected Fellow of the Royal Society of Edinburgh (Scotland' s National Academy) , of which Adam Smith was a founder member.